Marin parents have countless options when choosing a private school for their child. 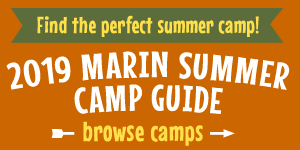 Finding the right school can sometimes be overwhelming, so let Marin Mommies help you choose! Browse schools by location, and leave a review to help other parents make an informed decision. Promote your school on the Marin Private School Guide. Terra Marin School Open House Sunday! Explore San Domenico Kindergarten - Where Learning is a Celebration!